As I've said before the first race I ever did was PMBAR. 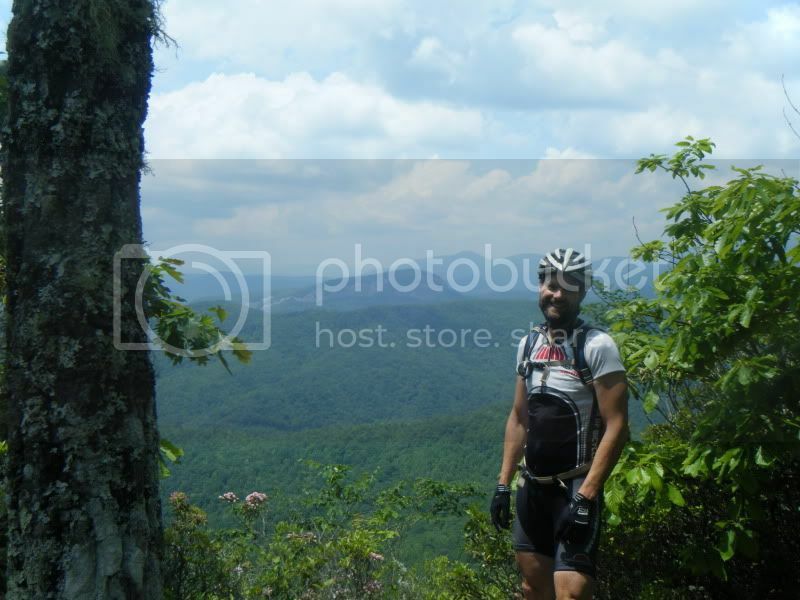 Since then I have not missed a single Pisgah Productions event until last weekend's inaugural Jeff Papenfus Pisgah 111k. The 111 is a great route and Pisgah Pro always puts on a high quality event but as I was reminded of at last year's Big Frog set route supported events are just not my thing. 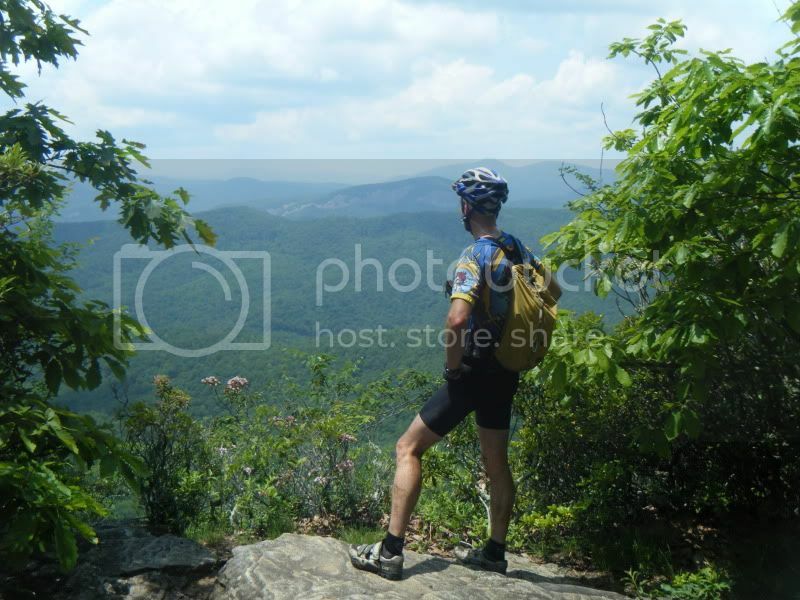 I'm really not much of a racer and the thought of actually racing for 70 miles is not my idea of fun. The final seconds of this year's pmbar during which we fought hard to hold off Captian Morgan and hold onto our fourth place spot was more than enough of that. Anyway, excuses about why I didn't do it aside, I still could not miss a Pisgah Pro event and spent my time 'volunteering' instead. Eric was looking for people to pre-ride the course to check the markings on Saturday morning and Jonathon and I signed up for the task. I started at 6am in the dark from the start and set out to do the first half of the course to Yellow Gap. On the way up Clawhammer my seat post started slipping. Every timeI would sit on the saddle it would fall to the bend in the post. Of course the bolt on the collar was stripped and I couldn't get enough torque to keep it tight so every few times I stopped to add a flag or some arrows to the course I would also pull my saddle back up to where it belongs. I was having to stop a lot and by the time I got to Cantrell Creek it was already after 8am and I started wondering how long until the lead riders came blowing by me. I had cut 100 pieces of flagging tape the night before figuring that had to be more than enough but I wanted to make sure the course was well marked, especially through the creek crossings on Cantrell and Bradley and those 100 flags were all gone by the time I hit 5015. Without flags and with the minutes ticking away until I was caught by racers I was tempted to skip 5015 and take some pictures of racers on Bradley and then bail out down hwy280 but I sucked it up and stayed on the route. When I got to Yellow Gap Carlos told me Jonathon was out of tape as well and was looking for help with the final section of the course over Black Mtn. Liberty Bikes was running the aid station and the mechanic dug around his tool box and found a seat post collar that fit my bike and gave it to me saving the day! I hung out at Yellow Gap for awhile and watched as the first 50 or so racers cam through and helped out when I could. After Dennis came through I decided it was time to ride on and conned Chris S. into riding with me for the rest of my volunteer duties. We found a cache of Kenda tape on Buckhorn Gap that must have been accidentally dropped by another flagger which relieved our fears of not being able to add markings if needed. This was my first ride since pmbar and I had neglected to eat or drink anything all morning and by the time we got to the obligatory photo shoot I was dizzy and headed for a bonk. I ate and Chris gave me water and we continued on. 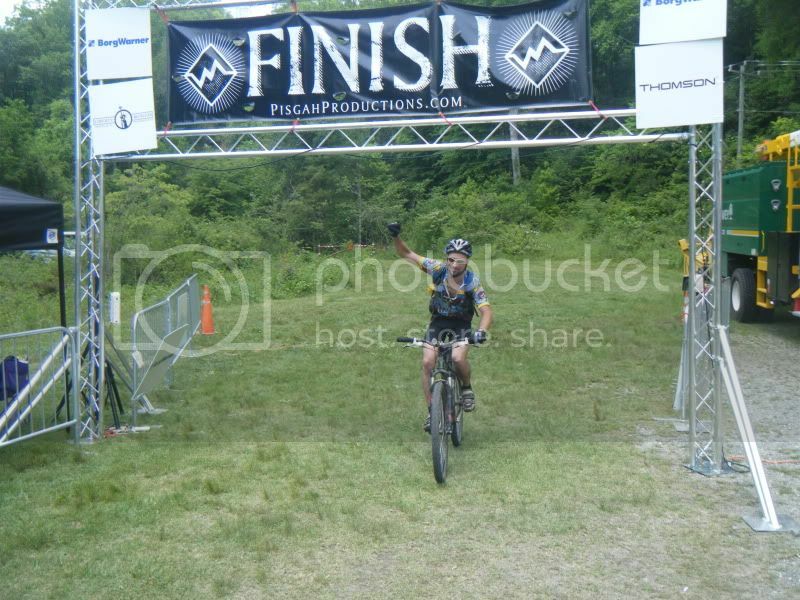 A few more flags and arrows later and the next thing I know I am the first one to finish the race!